Faculty in the economics and mathematics departments at UCLA celebrated Monday the awarding of the 2012 Nobel Prize in economics to their longtime colleague, Lloyd Shapley, 89, who shared the honor with Alvin Roth of Harvard University. "We’re all tremendously excited about this," said Distinguished Professor Roger Farmer, chair of the economics department, who spent much of Monday answering media calls from across the country and receiving congratulatory phone calls. "He’s one of the fundamental giants of game theory." What's interesting, Farmer added, is that "the work Shapley was cited for (by the Nobel committee) wasn’t even his best-known work." But Roth, his fellow Nobel laureate, was able to apply in a number of real-world situations what Shapley had conceptualized. "It was fundamental theoretical work," said Farmer of Shapley’s theories. "But it wouldn’t surprise me if it goes on to have additional implications years into the future." Shapley’s colleagues in mathematics also expressed delight at the announcement, released early Monday morning by the Nobel committee. "This wonderful news again confirms that UCLA is at the forefront of scientific and mathematical research," said Dimitri Shlyakhtenko, professor and chair of mathematics. It was an honor for Shapley that was long overdue, said his UCLA colleague in mathematics and Pacific Palisades neighbor Tom Ferguson: "He’s the No. 1 person in game theory in the world. There have been a few Nobel Prizes awarded previously for game theory. But he’s so much broader than many — particularly because he’s mathematical and also in political science." Born in Cambridge, Mass. as one of five children of renowned Harvard astronomer Harlow Shapley, Shapley was drafted during WWII into the Army Air Corps in 1943 and served in Chengdu, China, where he earned a Bronze Star for breaking the Japanese weather code. After leaving the Army, he returned to Harvard, where he was enrolled before being drafted. After graduating from Harvard, he received a Ph.D. in mathematics from Princeton in 1953. A chapter of "A Beautiful Mind," by Sylvia Nasar, biographer of mathematician and Nobel laureate John Nash who suffered from schizophrenia, is devoted to Shapley, who served as Nash’s mentor and friend. Both met as students at Princeton. In fact, Shapley was credited with coming up with the book’s title when he said that Nash had "a keen, beautiful, logical mind." After receiving his Ph.D., Shapley worked as a research mathematician at the RAND Corporation in Santa Monica. Ferguson said he met Shapley in the early '60s because of their mutual interest in Kriegspiel, a variation of chess where a player only sees his or her pieces on the board, but not an opponent’s. Acting as a referee, a third person provides information about the legality of each move as the game progresses. Ferguson and others on the faculty at UCLA urged their departments to hire Shapley, who was thinking about leaving RAND. "Shapley was a world leader in game theory and economics, perhaps best known for his seminal work in multi-person game theory," recalled Ted Gamelin, then-chair of the mathematics department. "We felt that his strong international reputation would serve to 'put UCLA on the map,' and we jumped at the opportunity to bring him to UCLA." When Shapley accepted the job offer in 1981, the economics department, in which he held a joint appointment, was already strong in game theory, Farmer recalled. "But he certainly added to that strength and to the prestige of the department." Because of his international reputation, Shapley soon drew to the campus "a string of top game theorists as visitors," said a former UCLA faculty member, David Levine, now an economics professor at Washington University in St. Louis. 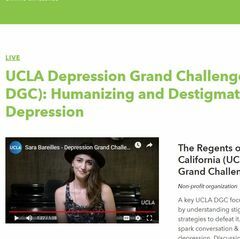 The year Shapley came to UCLA "was a great year for all of us. Together with Tom Ferguson in the math department, he ran a fabulous joint seminar on game theory," Levine noted in an email. Some found him to be an intensely private individual. "He was never a tremendously interactive person," Farmer recalled. Others, like mathematician Dov Monderer, on faculty at the Technion-Israel Institute of Technology, remembered Shapley's passion for games and puzzles. A visiting professor at UCLA at the time, Monderer recalled there was always "good food and good company," at the Shapley home, as well as a collection of small, but complex mechanical puzzles to solve. As a teacher, Shapley "would spend hours with individual students," Farmer said. "I would see him in his office talking to one student at a time. He was very, very dedicated." But he also had, Gamelin recalled, "his idiosyncracies," sometimes running off copies of an exam for his students at the last minute and arriving late to class. "He was a true scholar and an original person, who was an inspiration to many students at UCLA." 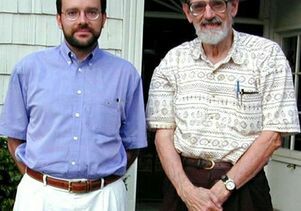 Said John Rulnick, a former Shapley graduate student who now teaches electrical and computer engineering at Worcester Polytechnic University, "Professor Shapley is a legendary mathematician ... and also an honorable and thoughtful human being. I learned not just from the extraordinary insights he shared into seemingly every aspect of game theory, but also about the value of teaching. His respect for students infuses my own [teaching] to this day." 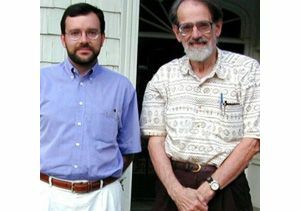 Manel Baucells (left) was a graduate student in this photo with Shapley from 1999. Manel Baucells, a senior economist at RAND on leave from his post as professor at the Universitat Pompeu Fabra and dean of the Barcelona School of Management, met Shapley in the late ’90s while a graduate student in the UCLA Anderson School of Management. "I knew of his work when I first came to UCLA, so I took his game theory class … and then took everything he was offering. I liked his way of looking at things." said Baucells. 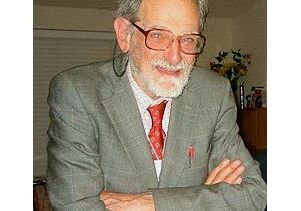 Baucells said that Shapley’s sharp mathematical mind served him well in developing highly unconventional economic models. "He could develop economic theory with very original angles … making connections that seemed very [distant]." Some of his ideas were so unusual that "when you first heard about it, it sounded wrong," said Baucells. "But when you thought about it, it would make sense." 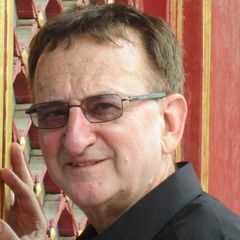 Joseph Ostroy, a distinguished professor of economics and graduate vice chair at UCLA, reported a similar experience: "In the several conversations I had with him, I often found myself valuing what he told me after I left his office — even though at the time I thought he was not responding to my question." Ferguson said Shapley’s work is still very much the subject of intense discussion. A conference is being planned for next July in Istanbul on what’s known by scholars as the Shapley value, a concept that Shapley introduced in cooperative game theory. "His truly original idea – now called the Shapley value — provides a method for uniquely valuing the contribution of each individual to a group where the value of the whole is greater than the sum of its parts," Ostroy explained. "His contributions have been a major source of stimulation to my work."